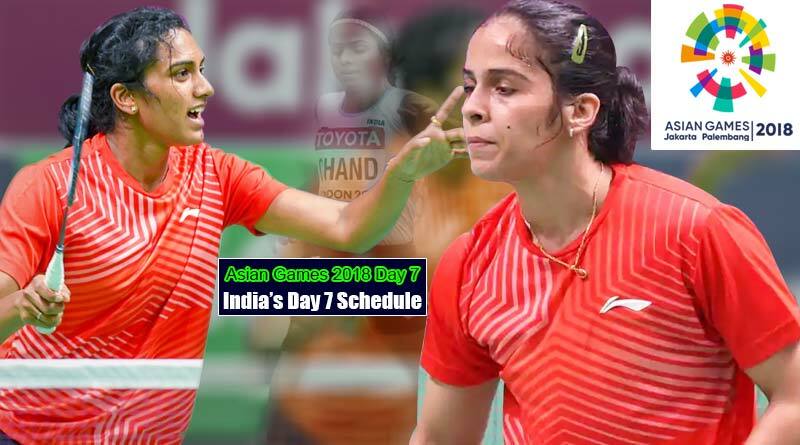 Asian Games 2018 Day 7 – India’s schedule – Come Saturday, the Indian contingent will be back at competing with some of the best athletes in the Asian subcontinent. PV Sindhu and Saina Nehwal will be leading the Indian charge in badminton with both expected to win their matches. Asian Games 2018 Day 7 will see the commencement of the athletics event. Dutee Chand will be in action in women’s 100m, whereas Hima Das and Nirmala Sheoran will compete for top podium finish in 400m race for India. Boxing, wrestling and shooting will also see the Indian contingent vying it out for a podium finish. With plenty of action, featuring some of India’s best and biggest athletes on show tomorrow is a day you just cannot afford to miss the Asian Games. We bring you India’s entre schedule of the Asian Games with the timings. The matches can be caught live on Sony Ten 2/HD, Sony Ten 3/HD and Sony ESPN/HD. Come back for the results of Asian Games 2018 Day 7 matches. ← who is Shanti Dynamite ?